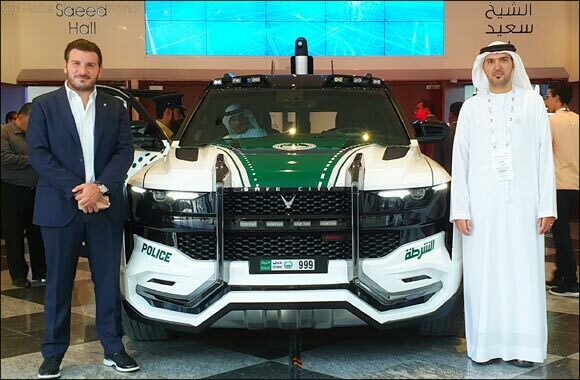 Dubai, UAE; Monday 15th October 2018 – W Motors has launched the all-new ‘BEAST PATROL' in partnership with Safe City Group, following the advanced technology company's initiative to develop the most advanced police vehicle in the world. The distinctive and highly advanced BEAST PATROL was showcased for the first time at GITEX Technology Week from 14th-18th October 2018, Dubai. The BEAST PATROL integrates distinctive and highly advanced technologies, functionality and reliability, setting a new standard for security vehicles on an international level. With the introduction of this state-of-the-art vehicle - created by its Special Project Operations Division - W Motors demonstrates that its design and manufacturing capabilities go beyond the development of hypercars.